Home Companies Hangzhou ZhiYuan Packaging Products Co., Ltd.
4) Surface Disposal: Matte/Gloss lamination, vanish, aqueous coating, UV coating, gold / silver stamping are all available. OEM order or customer-made artwork are welcome. 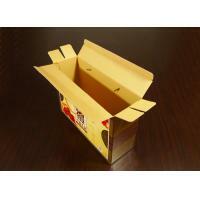 For more paper bag information, please feel free to contact us. The intellectual property shown on the listed product(s) belongs to third parties. This paper bag only offered as examples of our production capabilities, and are not for sale. We are professional on paper bags. Our product range includes paper bag, paper gift bag, paper hand bag, carry bag, carry paper bag, paper cosmetic bag, paper leisure bag, paper wine bag, christmas bag, paper shopping bag etc.